Are People Tired of Buying the Outgoing Mustang? Sales of the 2014 Mustang have dropped. An all-new Ford Mustang will soon be in showrooms and the public appears to realize that. Sales last month for the 2014 Mustang are down from the June prior. A total of 7,631 Mustangs were sold in June 2014, compared to 9,243 units in June 2013. That’s a 17.4 percent decrease. However, Mustang sales so far are higher than they were last year at this time, up by 2.6 percent. The question now is whether monthly sales will continue to decrease ahead of the new Mustang's arrival. In order to get rid of the current inventory, Ford may very well offer even more enticing sales incentives. 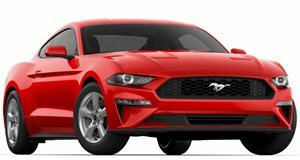 But if you don’t care enough to wait for the 2015 Mustang and you’d be more than happy with a Mustang with a solid rear axle, then now is perhaps the best time to buy. A brand-new V8 Mustang GT could be the greatest deal in town.